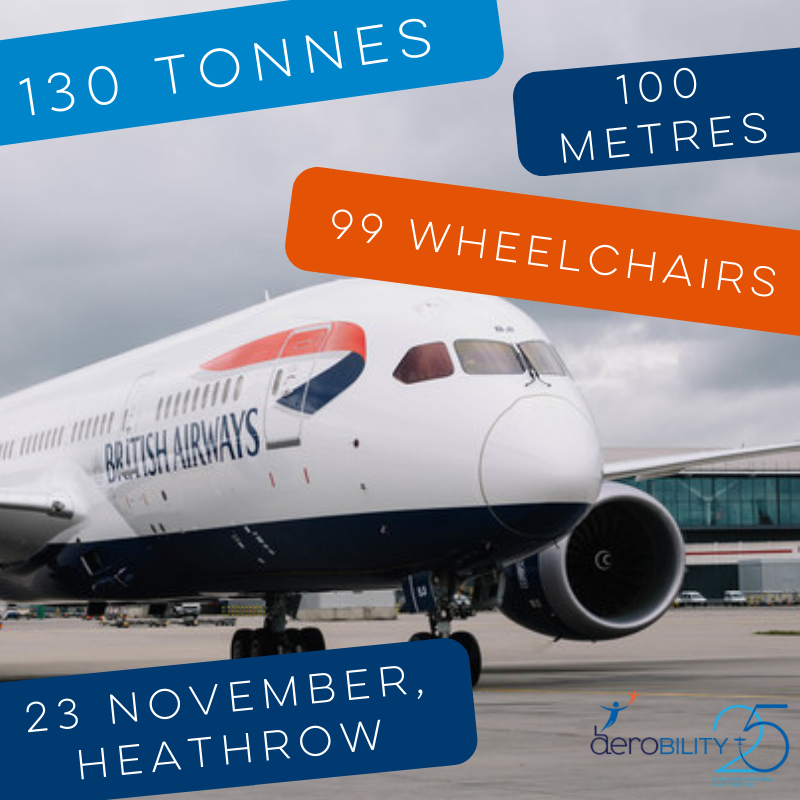 Aerobility is joining forces with Heathrow and British Airways to host Wheels4Wings – a Guinness World Records official attempt for the heaviest aircraft to be pulled over 100 metres by a team of people in wheelchairs. Show your support for the team taking part in this amazing event by making a donation either to an individual fundraiser or directly to the event. The current record is held by a Belgian team who pulled a 67.19 tonne Lockheed C-130 Hercules Aircraft over 102 metres in 2011. Wheels4Wings will see our team of 99 people attempt to pull a 130 tonne Boeing Dreamliner 787-9 and almost double the record! Money raised from this event will help Aerobility continue to enable people of all disabilities to participate in aviation. Our programmes include a wide range of services from ground-based activities all the way through to supporting flyers as they achieve their Private Pilot Licenses.